This is Mockingjay.net's Community DA Group. You must be a registered member of MJN to join the group and display your work here. MJN's DA Group is a great way to showcase your artwork and fan fiction and get more exposure for it than you would using a place like fanfiction.net or just posting it in the forums. Sign up and get a-posting! In the Hunger Games book the Mockingjay Pin was kind of a big deal. The movie makers didn't show any footage of Madge giving Katniss the pin. It was Katniss Everdeen's token of going into the 74th and 75th Hunger Games. Unknowingly the mockingjay is a slap in the face to the Capitol since mockinjays were created after the disastrous jabberjays during the rebellion. Where the crap did the girl who gave Katniss the Mockingjay pin go? I thought it was very silly of the movie makers to leave her out. Way before the reaping where Katniss volunteered, Katniss and Gale were illegally hunting in the woods to provide food for their family. Katniss saw a red-headed girl and a young man running (away from the Capitol.) A hovercraft appeared and the young man got harpooned through the chest and the girl was taken alive. When Katniss was taken to the Capitol and their quarters at the Training Center she noticed the red-headed girl had turned into an Avox. Food is a very big deal in Suzanne Collins' books. In fact there are websites, and books dedicated to the dishes cooked up on Panem. One could even argue that the whole plot of the book is based around food — not having it, versus having it. The winning tribute returns to a world of money (so they can buy food) and their district gets to live a whole year with additional rations from The Capitol. Almost every other thought inside Katniss' head is about food, finding food, protecting the food, feeding her family, feeding herself in the games, will she have enough food? How will her future actions affect the people of District 12's food supply? Food is everything. Heck, "Hunger" is in the title! So it was surprising that not a single food item was namechecked in the movie. There was no reaping fish soup, no goat cheese bread Prim saves for her sister, no the Mellark cookies, no crescent bread delivered from District 11 which was supposedly meant for little Rue (a completely gutting moment), and of course, no lamb stew! Was Effie Trinket ever officially introduced? Did anyone actually say her name in this story? Were her position, title and aspirations ever revealed? A friend of ours who hadn't read the books was confused as to why this character was still hanging around with Peeta and Katniss. They thought she was the Reaping talking head that traveled from District to District, gathering tributes. That being said, Elizabeth Banks NAILED this character. "That is Mahogany!" When Katniss, Cato and Peeta battle it out in the big finale, they're overtaken by a pack of gigantic dogs hungry for their flesh, which are dubbed "Muttations." These creatures have the eyes and hair of each fallen tribute. Making it seem as if the Gamekeepers had harvested the eyes of the tributes and shoved them into these monsters. Was it an important cut, probably not. We already know The Capitol is evil, they send children to die for national entertainment. We don't need mutts that may (or may not according to Catching Fire) be made of the eyes of fallen tributes. It's a huge stretch of believability. Haymitch got pretty sober pretty quick didn't he? Wasn't he supposed to fall off the stage during the reaping of District 12? We would have liked to see more "Haymitch Disappoints," before he got it all together. 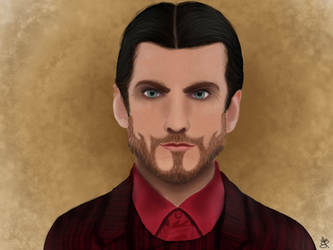 However, the additional scenes of Haymitch going after sponsors and tricking Seneca Crane fit the tone very nicely. And gave the audience a chance to understand how the whole game world operated without having to explain. Peeta's first Hunger Games fatality was played down tremendously in the movie. One could even argue that the movie completely covered up his first kill. When the careers (who Peeta teams up with during the first half of the games) come across a Tribute from District 8, they attempt to kill her but fail. While she's slowly dying it's Peeta that volunteers to go back and finish her off. Katniss sees all of this and is horrified. Granted one could argue he was showing the tribute compassion, what's more important is that Peeta was demonstrating to the audience that he was capable of killing. In the movie you just see the District 8 Tributes' campfire, which causes the careers to appear. It is not implied that Peeta did any killing. Because of Peeta's horrible end wound and Katniss' tourniquet Peeta loses his leg. There is no reference to any leg missing in the end of The Hunger Games movie. The epic betrayal of Peeta's heart. In the film we see Haymitch warning Katniss that if she wants to live another day after the games she has to pretend to love Peeta forever. 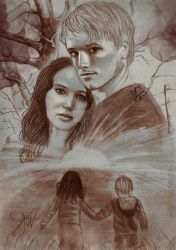 In the book Katniss' big "my love for you is make believe" reveal is devastating to Peeta, because he was actually in love with her. Plus, Katniss has been seemingly fanning this love by resting her head on his shoulder and flirting with him during the final interviews. On the screen we see Katniss hold Peeta's hand and say a few nice things to him, but the actual exploitation is gone from the movie (possibly to detract the audiene from hating Katniss for being so cruel). Couple that with the fact that Peeta never said the iconic line, "She has no idea, the effect she can have," in the film — and you have a pretty strongly one-sided love triangle. how do you register on the website? 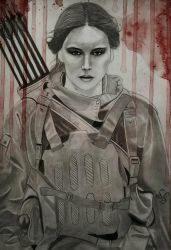 Hi, I have an account on the Mockingjay.net Forums, so is it okay if I submit my fanfiction to this group? Does everybody like my Hunger Games writing entry? Thank you so much for all the adds!